The objective of this chapter is to clearly demonstrate through concrete examples how affective and efficient post-listening tasks for autonomous intermediate and upper-intermediate (intermediate) language learners can be designed and created in interactive multimedia listening environments (IMLEs) as a part of foreign/second language learning (FLL/SLL) process. Thus, in this chapter, firstly the definition of autonomy is slightly touched on. Secondly, the categorisation of autonomy is briefly explained. 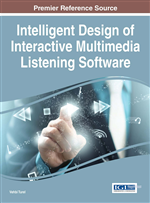 Thirdly, a separate part on multimedia listening environments and the nature of the listening stages and tasks in such environments is presented. Mainly and finally, what need to be taken into account in order to be able to design and create pedagogically and psychologically effective and useful post-listening tasks for autonomous intermediate language learners in IMLEs is accounted for in detail. In terms of intelligent design of interactive multimedia listening environments (IMLEs), the intrinsic and functional combination, presentation and design of all digital elements play a vital role, and these elements are: tasks – the pre-listening tasks, the while-listening tasks and the post-listening tasks -, reading texts, audio, video, still or motion visuals – images, graphics, animations, drawings -, captions, subtitles, instructions, rubric, activities, activity types, language learners’ responses, feedback, glossary, help, icons, colour, layout, optimum combinations of the elements and so on. The design of the pre-listening and the while-listening tasks for autonomous intermediate language learners in IMLEs are discussed thoroughly in other studies (Turel, 2014a; Turel, 2014b). Here, only the design of the post-listening tasks for autonomous intermediate and upper-intermediate (intermediate) language learners in IMLEs is focused on. Cotterall (1995, p. 195) expresses autonomy as “the extent to which learners demonstrate the ability to use a set of tactics for taking control of their learning” while Dickinson (1995, p. 167) says that “… autonomy can be seen as an attitude towards learning in which the learner is prepared to take, or does take, responsibility for his own learning”. Carver and Dickenson (1987, p. 15) also describe an autonomous learner as “a self-directed learner … who retains the responsibility for his own learning …” Thanasoulas (2000, p. 1), referring to Benson & Voller, (1997, p. 2) says that the term autonomy has come to be used in at least five ways. These are (a) “for situations in which learners study entirely on their own”, (b) “for a set of skills which can be learned and applied in self-directed learning”, (c) “for an inborn capacity which is suppressed by institutional education”, (d) “for the exercise of learners' responsibility for their own learning” and (e) “for the right of learners to determine the direction of their own learning”. These definitions clearly show that in autonomy language learners take or at least are supposed to take the control of their learning and accept full responsibility. With respect to accepting responsibility, Little (1995, p. 175) says that the main characteristic of the learner autonomy is that learners accept full responsibility for their own learning.